By Amy Jones, M.S., R.D., L.D. For many years, gluten-free grains didn’t get much attention, but the popularity of the gluten-free diet has made some of these “ancient grains” new again. Quinoa, for example, shows up frequently on grocery store shelves and even on restaurant menus. From buckwheat to sorghum, these grains add significant nutritional value to the gluten-free diet, as well as taste and variety. However, research still shows that those on the gluten-free diet do not eat the recommended amount of grain servings—in particular, whole grains. Early versions of gluten-free foods often did not contain whole grains; they relied heavily on white rice flour and corn or tapioca starch. The good news is that trend seems to be changing as manufacturers introduce more products containing gluten-free whole grains. What exactly is a whole grain? According to the Whole Grains Council, “whole grains or foods made from them contain all the essential parts and naturally occurring nutrients of the entire grain seed in their original proportions. 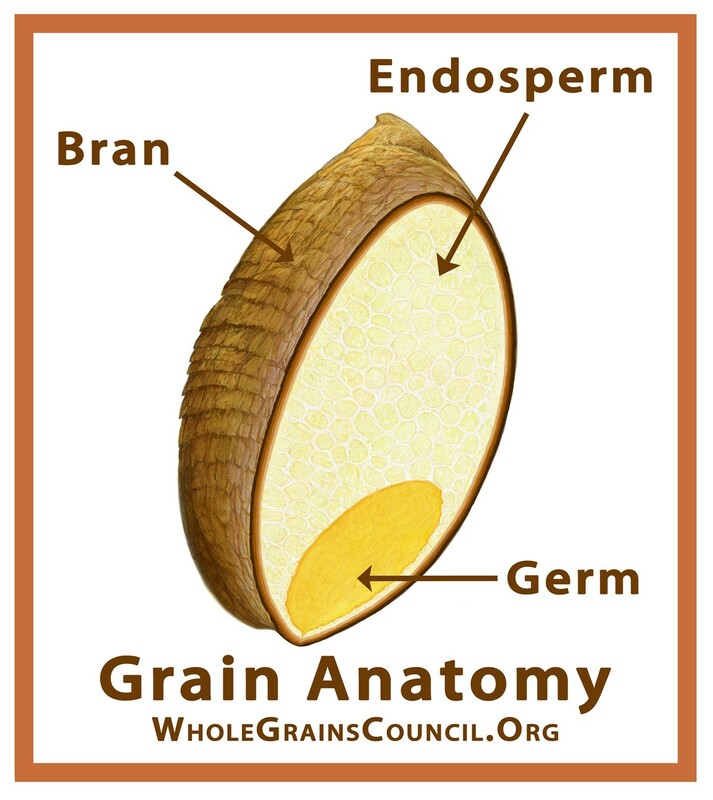 If the grain has been processed (e.g., cracked, crushed, rolled, extruded and/or cooked), the food product should deliver the same rich balance of nutrients that are found in the original grain seed.” In short, the bran, germ and endosperm of the grain must be present (see Figure 1). Refined grains differ in that they are milled, which removes the bran and germ, and unfortunately much of the nutritional benefits. 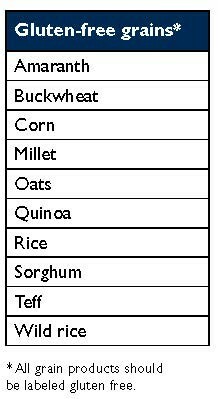 See Table 1 for a list of gluten-free whole grains. A diet rich in whole grains can help prevent chronic diseases. A 2016 review of 14 studies published in the journal Circulation showed that those who ate the most whole grains had lower risk of overall death, death from heart disease and death from cancer than those who ate the fewest. However, only those who ate at least 30 grams of whole grains per day—for example, a half-cup of cooked brown rice or one-third cup of gluten-free oatmeal—exhibited the reduced risk of cancer death. Researchers also noted an even further reduced risk of death for those who ate more than 30 grams per day. A 2016 study published in the American Journal of Clinical Nutrition found that among 55,000 Danish adults, those who ate the most whole grains every day had the lowest risk of a heart attack, with oats being particularly protective against heart disease. Whole grains may even protect your brain, as a 2016 study in Clinical Nutrition found that increased consumption of whole grains reduced inflammation in the brain. Whole grains confer a multitude of health benefits for those on the gluten-free diet. Before diagnosis, those with celiac disease are likely to suffer nutritional deficiencies due to impaired absorption. But even after adopting the gluten-free diet, there are still risks of nutritional shortfalls, specifically fiber, iron, calcium, vitamin D, B vitamins and magnesium. Many gluten-free breads and cereals are not enriched like gluten-containing cereals. Additionally, those with celiac disease may have some other food intolerance, such as lactose intolerance, which can cause further deficiencies. Gluten-free whole grains can help provide good sources of these needed nutrients. Those with celiac disease often complain of constipation; the gluten-free diet tends to be lower in fiber than a diet containing wheat products. “Fiber and whole grains go hand-in-hand, so these little kernels of flavor are the perfect way to sneak more fiber into the gluten-free diet,” says Kelly Toups, a registered dietitian with Oldways and the Whole Grains Council. 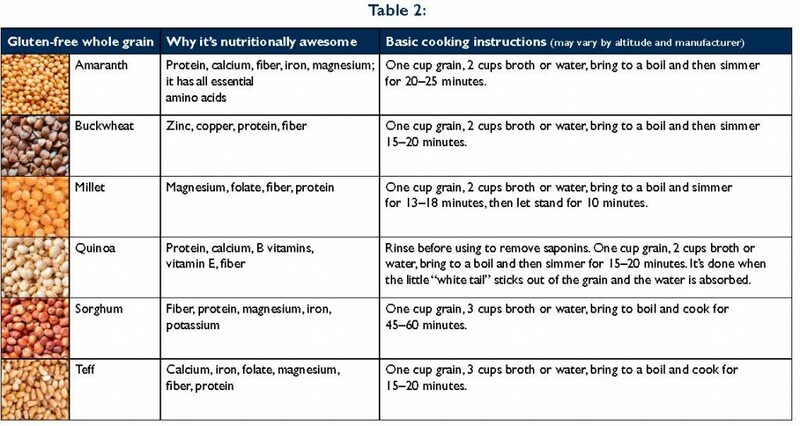 “Gluten free does not mean grain free.” She says just a quarter cup of uncooked gluten-free oats or buckwheat has 4 grams of dietary fiber, while millet and teff have 3 grams. Adults should aim to consume around 25 grams of dietary fiber each day. The health benefits of gluten-free whole grains extend beyond fiber. Quinoa, for example, contains the highest-quality protein of any grain or cereal. It is also high in zinc, magnesium and iron. Millet is another nutritional powerhouse, containing many B vitamins, including niacin, thiamin, folate and B6, as well as fiber, iron, magnesium and zinc. Sorghum contains comparable amounts of protein to wheat while being a great source of zinc and iron. Teff contains more calcium than any other grain, a great help for patients who may be lacking this important mineral due to lactose intolerance. 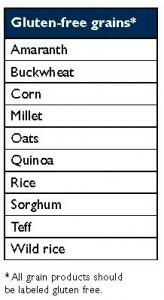 See Table 2 for the specific health benefits of various gluten-free whole grains. Identifying whole grains quickly when shopping can sometimes be difficult. 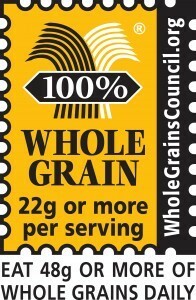 The Whole Grains Council created the Whole Grain Stamp in 2005 (see Figure 2). The Basic Stamp provides a guarantee that the product has at least a half serving of whole grains. Better yet, the 100% Stamp guarantees that all the grains in a product are whole grains. “The number inside the Whole Grain Stamp indicates how many grams of whole grains are in one serving of the product, making it easier for you to compare products and pick the one with the most whole grains,” Toups explains. 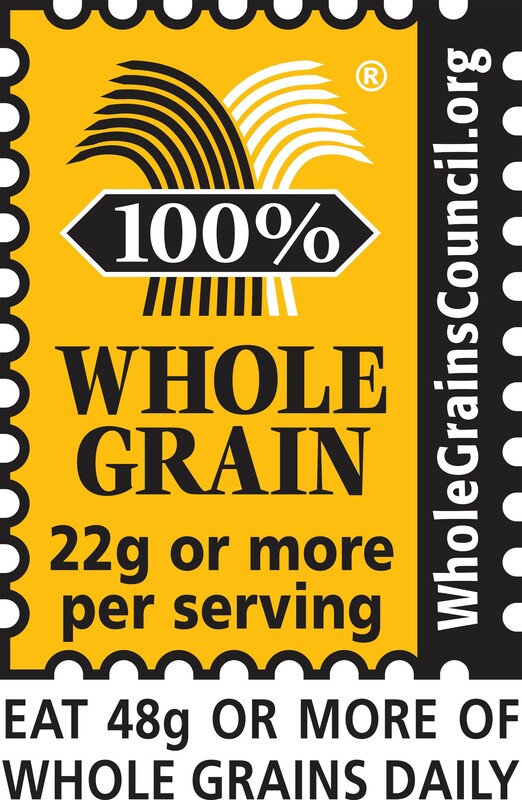 The Whole Grains Council website makes finding products with the stamp easy, allowing consumers to search for products that are specifically gluten free. You can find this listing by going to wholegrainscouncil.org and clicking “Find Whole Grains.” Be sure to refine the search for gluten-free products only. It is very important to note that some gluten-free grains are at risk for contamination with other grains. In 2009, Tricia Thompson, R.D., of Gluten Free Watchdog, LLC, tested 22 naturally gluten-free grains that were not labeled gluten free and found that seven (32 percent) of the samples were contaminated with varying amounts of gluten. In addition, she found that allergen advisory statements such as “made in the same facility with wheat” did not reliably indicate which grains were contaminated. It is important to keep in mind that the grains tested were not labeled gluten free; the goal of the testing was to determine whether some naturally gluten-free grains are at risk for contamination with gluten. For this reason, Thompson and other experts recommend that people on gluten-free diets purchase grains that are labeled gluten free. While these grains may be slightly more expensive, manufacturers will take extra steps to keep their grains safe. Research has found that many on the gluten-free diet consume far fewer grains than recommended, and when they do choose grains they tend to gravitate toward white rice. This may, in part, be due to unfamiliarity in how to cook various gluten-free grains. Toups offers some tips for those who are new to these grains: “Moving from white rice to brown or from white gluten-free bread to whole-grain gluten-free bread are mindless swaps that don’t require a drastic departure from routine.” However, she encourages those who are more adventurous to find a “cornucopia of flavors and textures” in other grains. “For those who miss couscous, sorghum is an excellent gluten-free alternative,” she remarks. “It works great in grain salads or as a hearty base for curries and stews.” She encourages sorghum flour for baking as it has a sweet flavor that closely mimics wheat (see recipe, below). She also encourages quinoa. “It cooks up in 15 minutes, far quicker than baked potatoes, rice and other gluten-free starches.” Quinoa substitutes well in recipes that call for rice, like stir fry and pilaf. “It also retains its texture when it is chilled, meaning it’s the perfect nutritious topper for all kinds of colorful salads and is a great base for gluten-free grain salads.” The Whole Grains Council offers a delicious Mediterranean-style breakfast dish with quinoa that can be prepared the night before (see recipe, below). Amaranth is also very versatile. It can be “popped” in the skillet and eaten like popcorn, or made into stuffing or breading for meat or chicken. Amaranth flour can be added to gravy or used to boost the nutritional quality of baked goods; substitute one-quarter to one-third of gluten-free flour with amaranth flour. 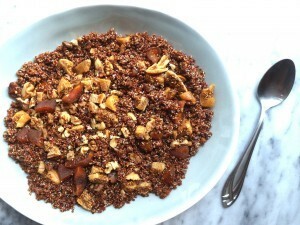 Buckwheat can be made into a side dish, hot cereal or stuffing. Ground buckwheat makes a nutritious hot cereal and may be labeled “cream of buckwheat.” Even though the name may be a bit confusing, there is no wheat in pure buckwheat; however, some baking items such as buckwheat pancake mixes may contain wheat flour, so always check the label. Millet can be made into hot cereal and pilaf. It can also be made into crackers, or toasted and added to soups. 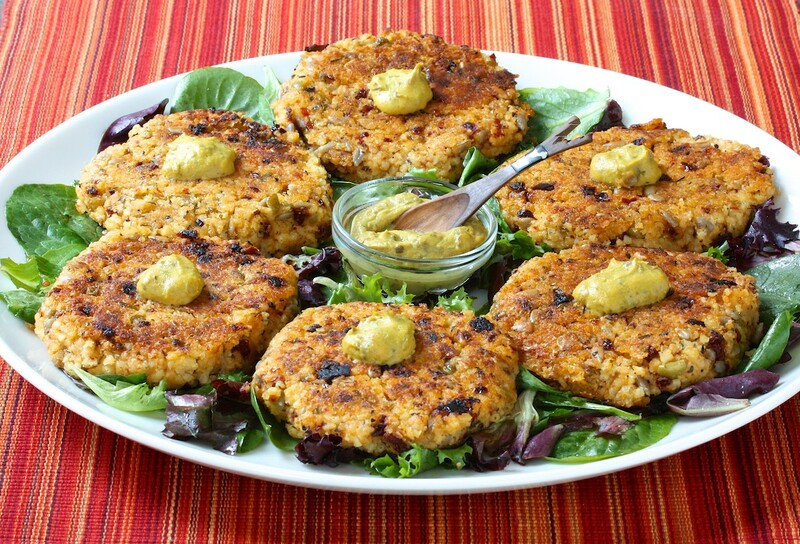 Toups recommends Manhattan Millet Cakes (see recipe, below) as a good way to use up leftover millet. Millet flour has a light texture and can be substituted up to 30 percent in baked recipes. Millet flour does spoil easily, however, and should be stored in the freezer. Teff can be used to make veggie burgers by combining cooked teff with beans or tofu, garlic, herbs and onions. Teff flour combines well with other gluten-free flours, especially in darker items like brownies and cake. Pancakes and waffles can be made with 100 percent teff flour. Whole grains can add a lot of nutrition to the gluten-free diet in addition to the welcome variety and flavor. Choose products that contain whole grains, and utilize tools like the Whole Grain Stamp to easily identify those foods made at least partly with whole grains. “By embracing different whole grains, producers delight the gluten-free market with new products, flavors and textures, as well as boast a more impressive nutrition panel,” says Toups. As a result, watch for even more gluten-free whole-grain products to be available in the coming years. 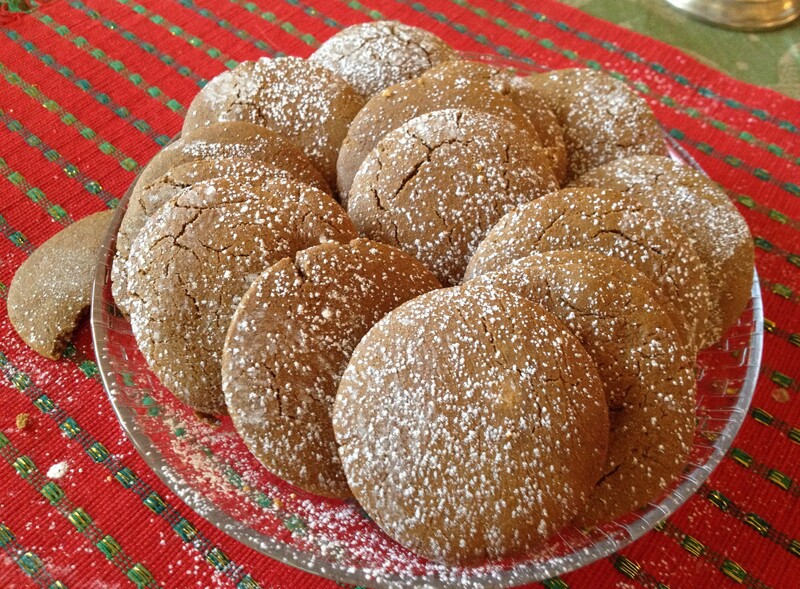 You’ll be surprised at how smooth and creamy your cookie dough becomes when you make gluten-free molasses cookies with whole-grain sorghum flour. Preheat the oven to 375° F. Oil or butter a large baking sheet. In a large bowl, beat together the butter and brown sugar until fluffy. Add the eggs one at a time. Add the molasses and mix until well blended. Add the dry ingredients to the butter mixture. Beat at medium speed until the mixture doesn’t stick to the bowl, adding more flour if necessary. To form each cookie, make a golf-ball-sized ball, and then flatten it between your hands. Dredge each flattened ball in the raw sugar. Place the cookies on the prepared baking sheet about 1 to 2 inches apart, and bake for 6 to 7 minutes. It’s important not to overcook the cookies, to make sure they stay soft and gooey. Cool on a rack. Recipe courtesy of Sara Baer-Sinnott, reprinted with permission from The Oldways Table, by Sara and co-author K. Dun Gifford. Oldways photo. In this Mediterranean-inspired quinoa recipe, dried fruit and cinnamon contribute all of the sweet taste—no added sugars needed. Dried figs are deliciously sugary, and when joined with Turkish apricots, raw walnuts and cinnamon, this breakfast cereal has a decidedly Mediterranean flair. Bring quinoa and water to a boil. Reduce heat to low and simmer covered for about 15 minutes, until the outside coat of the grain separates into a curly tail and all of the liquid is absorbed. While the quinoa is simmering, chop the figs, apricots and walnuts into bite-sized pieces. Add the chopped fruit, nuts and cinnamon to a large bowl. To serve, divide the quinoa mixture among 4 mason jars, and add ½ cup milk to each jar. Cover and refrigerate overnight. This allows the fruit to soften a bit and the flavors to mingle more freely. Alternatively, you can keep the quinoa mixture in a covered container in the fridge. When you’re ready to eat, simply scoop about 1 cup quinoa mixture into a bowl, top with ½ cup milk and eat like regular cold cereal. Recipe and photo courtesy of Kelly Toups, R.D., and the Oldways Whole Grains Council. Visit www.wholegrainscouncil.org for more. Combine the millet and water in a pot and bring to a boil. Reduce the heat to medium-low, cover and simmer for 30 minutes. Drain if necessary and transfer the millet to a bowl. When cool, add the sun-dried tomatoes, garlic, olives, sunflower seeds, cheese, capers and oregano. Stir well, mashing the ingredients together. Use dampened hands to form 6 patties. Heat the olive oil in a large skillet and cook the patties until lightly brown and crisp, about 4 minutes on each side. Serve on a bed of greens with the mustard. Recipe and photo courtesy of Oldways. Visit www.oldwayspt.org for more.